Who Are the Most Influential Skeptics Today? What do cultural celebrities like Bill Nye, Richard Dawkins, Neil de Grasse Tyson, Bart Ehrman, and Bill Maher all have in common? In different ways, the represent different forms of skepticism about the Christian faith. In a recent Sunday School class on “Personal Discipleship,” I was asked this question: Who are the most influential skeptics today? How does one go about answering such a question? According to Canadian philosopher Charles Taylor, in his magisterial A Secular Age, a few hundred years ago it was virtually impossible not to believe in God. But nowadays, the shift is remarkable: for many in 21st century Western culture, it is very easy, almost inescapable, to not believe in God. Skepticism defines the current cultural mood, something that would have been mostly unthinkable just a few centuries ago. Instead of trying to come up with some type of “Top Ten” skeptics list, I think it best to list out some of the more skeptical personalities today, each person representing a different type of skepticism that an evangelical Christian believer might encounter in their conversations with their neighbors, co-workers and even family members. So here we go…. The Hostile Antagonist: Richard Dawkins tops the list. An evolutionary biologist by training at Britain’s Oxford University, Dawkins is a prolific writer and speaker. He was raised in a nominally Church of England home, but he ditched a Christian worldview as a teenager. He writes: ‘An atheist before Darwin could have said, following Hume: “I have no explanation for complex biological design. All I know is that God isn’t a good explanation, so we must wait and hope that somebody comes up with a better one.” I can’t help feeling that such a position, though logically sound, would have left one feeling pretty unsatisfied, and that although atheism might have been logically tenable before [Charles] Darwin, Darwin made it possible to be an intellectually fulfilled atheist.’ (page 6, The Blind Watchmaker). Dawkins is representative of the so-called “New Atheism,” scientifically-informed academics and writers who consider Christian belief to be a detriment to society, if not just plain immoral. Others like theoretical physicist Lawrence Krauss, philosopher Sam Harris, cognitive scientist Daniel Dennett, and a College of William and Mary graduate now-academic biologist, Jerry Coyne, join Dawkins in being very vocally opposed to all forms of traditional religion, including Christianity. How do you respond to Dawkin’s claim that teaching your faith to your children is a form of child abuse? Some critique of the thought of Richard Dawkins and Jerry Coyne, for example, can be found right here and here, respectively, on Veracity. The Exasperated Agnostic: Bill Nye, the Science-Guy, is a popular children’s educator, most recently known for his debate with Answers in Genesis president, Ken Ham. An engineer through his training, Nye believes that the teaching of some beliefs popular among many evangelical Christians, such as the concept of a 6,000 year-old “Young Earth,” is leading to a decline in an interest in doing real science among young people today. Unlike the “New Atheists,” skeptics like Nye are not rigidly hostile to Christian belief, per se. Instead, they simply think that the path of critical thinking encouraged by the development of modern science makes belief in God unnecessary in our post-modern age. Folks like Bill Nye, along with others like cosmologist and physicist Stephen Hawking, see no problem with Christian belief, just as long as it does not interfere with what is really important: the world of science. In other words, it is fine if you want to “believe in the Bible.” Just do not try to impose outmoded quaint beliefs on other people who want to take science seriously. A short quote from Bill Nye sums up his frustration with many evangelical Christian approaches to science: “Your world just becomes fantastically complicated when you don’t believe in evolution.” Are there Christian beliefs, as Nye implies, that are inherently at odds with science? 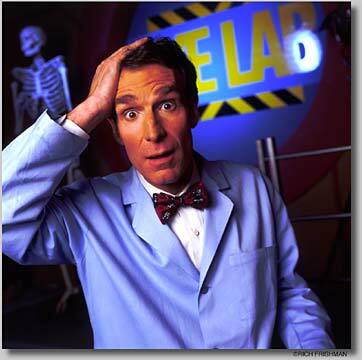 An interaction with the thought of Bill Nye can be found right here and here and here then here on Veracity. The Aloof Secularist: Neil deGrasse Tyson is the intellectual successor to the 20th century cosmologist Carl Sagan. If you are a fan of PBS (the Public Broadcasting System) TV, you will know Tyson as the narrator of many popular PBS science programs, and he is most recently known for the 2014 remake of Sagan’s popular Cosmos series for National Geographic. Tyson was a student of Carl Sagan, mesmerized by his elder’s love for science and rational thought. Tyson, who grew up in a home where he had little exposure to Christianity, is much like Bill Nye above, but in particular he is representative of a class of skeptics for whom Christianity is simply irrelevant. Christian faith simply does not matter. Science holds the answers and captivates the human imagination in a way that Christian faith does not, according to this form of skepticism. Far from being antagonistic, faith in Christ is not even on the radar for Tyson. For example, on Christmas day, 2014, Neil deGrasse Tyson created a media flap when he sent out a Twitter tweet celebrating the birth of Isaac Newton, the father of modern physics, instead of the birth of Jesus. It just never occurred to Tyson that his tweet about Isaac Newton’s birthday on December 25 might have been offensive to any Christian. If you had a conversation with Neil deGrasse Tyson, what would you say that demonstrates that faith in Jesus Christ makes a difference in today’s world? An evaluation of Tyson’s thought can be found right here on Veracity. The Disillusioned Bible Student: Bart Ehrman, unlike the previous skeptics, is not a scientist nor an engineer. He is an historian, specifically an expert in the textual criticism of the Bible, the study of how the Bible was preserved and copied down through the centuries. Ehrman originally had made a faith commitment in his high school years, and he eventually attended such stalwart conservative evangelical institutions as Moody Bible Institute and Wheaton College. However, in graduate school, Bart Ehrman seriously questioned the inerrancy of the Bible, eventually abandoning his faith when he became dissatisfied with a Christian understanding of why God allows evil and suffering. Often the “go-to guy” for the secular media when it comes to major news stories about discoveries regarding the origins of Christianity, Ehrman’s main argument is that we simply can not know for certain what God really says, if anything, in the Bible, assuming that there is even a God. Here is a standard Ehrman quote, found in his New York Times Bestseller, Misquoting Jesus, “We don’t even have copies of the copies of the originals, or copies of the copies of the copies of the originals. What we have are copies made later—much later.” In other words, how can we be sure that the Bible is God’s Word, and not just something that was essentially miscopied or even worse, just plain “made up?” Far from the overstated idea that he is a “groundbreaking” scholar, Bart Ehrman is actually an effective popularizer of mainstream critical and liberal scholarship currently being taught in religion departments in secular universities all across the Western world. If you are a student of the Bible, how would you defend the idea challenged by Ehrman that the Bible is indeed the Word of God? An engagement with Bart Ehrman’s ideas can be found right here and here and here on Veracity. The Internet Atheist: Bill Maher is not a scholar, compared to the rest of our skeptics. Instead, Maher is a popular comedian and political commentator with his Real Time with Bill Maher television show on HBO, formerly the program Politically Incorrect on Comedy Central and ABC. Growing up a Roman Catholic, as a young person Maher came to the conclusion that the Catholic Church was simply telling people what some would say is “a pack of lies.” He is now what could be called a peddlar of “Internet atheism.” Many “Internet atheists” get their arguments supporting atheism from the Internet, sometimes from very dubious sources, such as the claim made by Christian “mythicists” that Jesus Christ never even existed. Maher has infamously propagated these ideas with his movie Religulous, which has become a kind of “cult classic” adding fodder to the arguments of this common form of populist atheism. Where do you point an “Internet atheist” like Bill Maher to find a responsible explanation for Christian faith? An examination of the approach taken by Bill Maher can be found right here on Veracity. Do you know any Hostile Antagonists, Exasperated Agnostics, Aloof Secularists, Disillusioned Bible Students, or Internet Atheists? When Christians encounter skeptics to their faith among friends, co-workers, neighbors and family members, you will typically find people who have been heavily influenced by the books, interviews, documentaries and movies promoted by at least one or more of the types of skeptics listed above. Some might argue that an exposure to the ideas of these thinkers and popularizers might be damaging to one’s faith. But the reality is that if the Christian is truly called to be the “salt of the earth” in a world that is slouching its way towards spiritual destruction, we would do well to become familiar with some of the basic arguments used by the skeptics that seek to undermine Christian faith. In doing so, we can have the confidence that there are real, credible answers to the thorny questions that we will encounter. Often, when you first hear the arguments of the skeptic, they may sound very convincing. But once you become aware of other arguments from a different point of view that seek to defend Christian truth, you will begin to see that there are ways to lovingly and respectfully, as well as effectively, respond to the critics of Christian faith. This entry was posted on Thursday, February 12th, 2015 at 7:52 pm	and tagged with Bart Ehrman, Bill Maher, Bill Nye, carl sagan, daniel dennett, jerry coyne, neil degrasse tyson, Richard Dawkins, sam harris and posted in Apologetics. You can follow any responses to this entry through the RSS 2.0 feed. The people mentioned in this post are the ones who turn people from God.